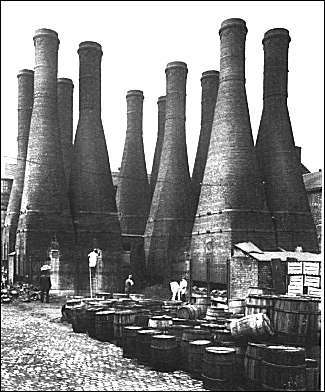 established in 1873 and was the main works for Alfred Meakin. 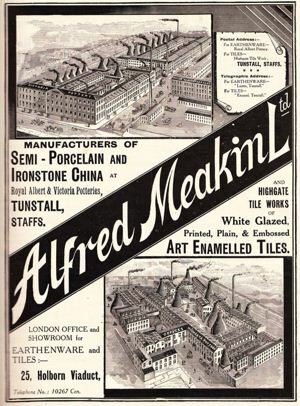 Alfred Meakin (Ltd.) occupied the Royal Albert, Victoria and Highgate Potteries, in Tunstall. The factory was built in 1858 and 1867 to 1874 was occupied by Turner, Goddard & Co. From 1875 occupied by Alfred Meakin, later years Astbury China then Holdenby Design occupied the works.